The Health Professions Council of South Africa (HPCSA) on Monday, 30 July 2018, joined South Africans in paying tribute to one of the top cardiologists in the country, Prof. Bongani Mawethu Mayosi. Prof. Mayosi was one of the brilliant minds, a pioneer and a medical giant in the research on heart ailments. His first engagement with the HPCSA was in 1983 when he registered as a student studying towards an MBChB degree with the then University of Natal, now known as the University of the KwaZulu – Natal (UKZN), which he subsequently obtained in 1989. He then registered as an Intern from 12 January 1990 until December of the same year when he was registered as a Medical Practitioner in the category of Independent Practice. On 8 April 1997, he was registered in the professional category of Independent Practice Specialist Medicine after completing his Registrar Training in recognised posts held at the University of Cape Town, attached to Groote Schuur Hospital until December 2003. On 1 December 2003, he was registered in the professional category of Independent Practice Subspecialist Medicine Cardiology after he served as a Consultant in the recognised posts held at the University of Cape Town attached to the Groote Schuur Hospital. During this entire registration period with Council, Prof. Mayosi paid his annual fees on time and as such his name was in good standing with Council. Prof. Mayosi was a member of the Medical and Dental Professions Board (MDB) for the period February 2004 to February 2009. During that period, he served as Chairperson of the Postgraduate Education and Training Committee (Medical) of the Medical and Dental Professions Board. His contribution to the Medical and Dental Professions Board and the Health Professions Council of South Africa in general was immensely valuable. It was indeed a great privilege to have worked with him. In February 2015, the Minister of Health Dr Aaron Motsoaledi appointed Prof. Mayosi to lead the Ministerial Task Team (MTT) to investigate allegations of administrative irregularities, mismanagement and poor governance at the HPCSA. This was as a result of progressive increase in the number of complaints made against the Health Professions Council of South Africa (HPCSA) by individual practitioners, professional associations, training institutions and other organisations. The MTT presented five recommendations, one of which was to overhaul the information communication technology, data and records management systems, and generally improve the efficiency of the HPCSA. 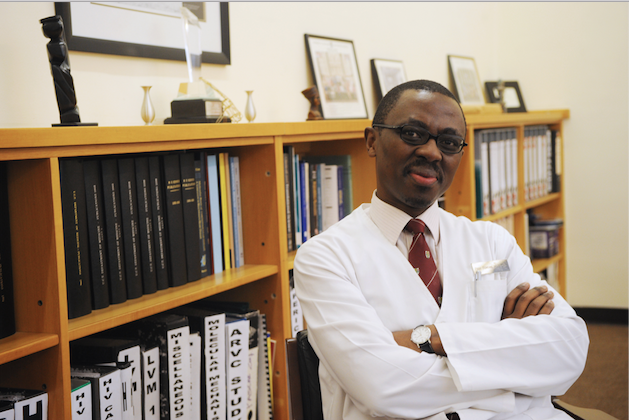 The HPCSA credits the MTT under the leadership and guidance of Prof. Mayosi for propelling the HPCSA to embark on a Turnaround Strategy to improve its efficiency and service delivery to stakeholders. “As the healthcare regulator, we’re gripped by this difficult and painful period of the loss of one of the pioneers in the medical fraternity, especially in the field of cardiology. Professor Mayosi inspired our current generation of practitioners and they must continue to aspire to reach and surpass the great heights that Prof. Mayosi attained. The HPCSA in its current form as a transformed institution benefitted greatly from the guidance and leadership that Prof. Mayosi provided when he was the Chairperson of the Ministerial Task Team (MTT). It was an honour to have known such a great person. The HPCSA – in particular the Medical and Dental Professions Board – will surely miss the presence of a truly remarkable and humble person,” said Dr Kgosi Letlape, President of Council (HPCSA). The HPCSA encourages health practitioners to create an environment where they can support each other to cope with challenges and pressures at the work place. Through empathetic listening and encouragement, these platforms will serve as integral part to assist fellow healthcare practitioners to cope with social or emotional barriers and to stay motivated to reach their goals. The peer support networks would also serve as early warning system that would trigger HPCSA proactive support. The HPCSA also extended its most sincere and heartfelt condolences to the family, friends, the South African public and the broader South African healthcare fraternity, whom Prof. Mayosi served with diligence and the greatest humility.